You’re going to see that May and early June are loaded with private club rounds for me. 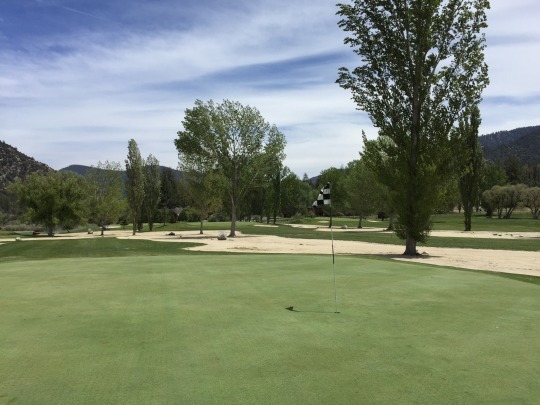 There just happens to be a number of SCGA outings all lined up at courses I haven’t played yet, as well as member for a day deals and other invites that my friends and I have been able to secure. It should be fun, so stay tuned for a lot of reviews in the next couple weeks. Last Friday, I made the journey to a pretty remote Southern California location. I don’t mind driving anywhere to play a new course, but even this was a bit extreme because of weekday traffic. 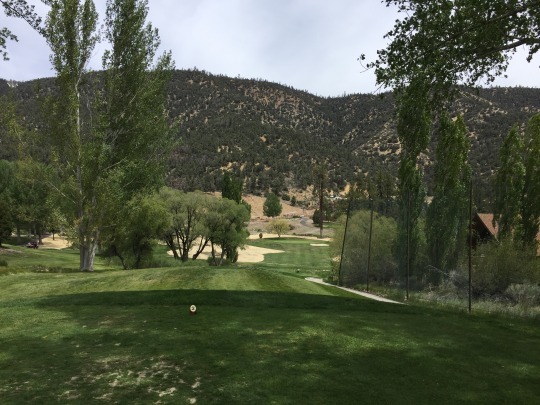 It was a long drive up to Pine Mountain Club, where a friend and I played nine short holes (kind of 18), and then we headed straight back home with no other golf to play that day. 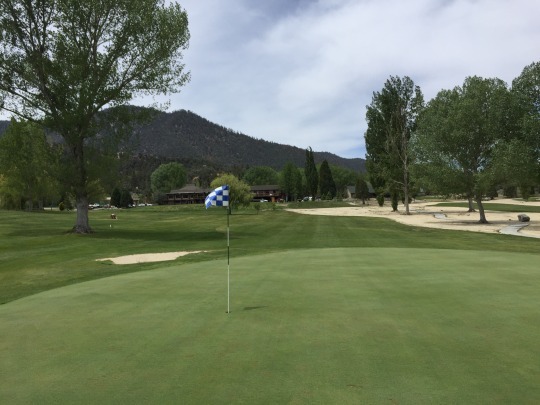 If you are not sure where Pine Mountain Club is, you are not alone. It’s up in the mountains north of the city and off the north side of the Grapevine. If you’ve driven that pass as many times as I have, you’ve probably stopped for gas or a snack at the Frazier Park exit. 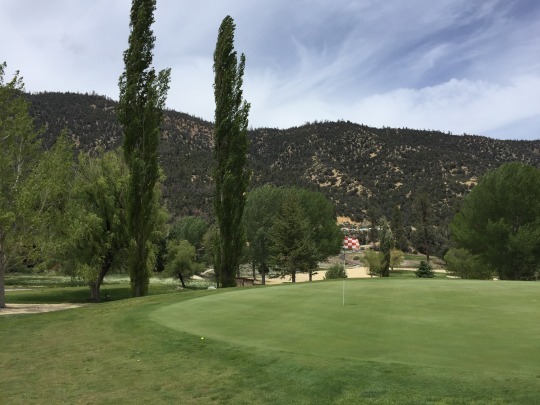 Well, if you get off there and drive about 18 miles further west, you find the quaint mountain community of Pine Mountain Club and you’ll find that community has its own little golf course. They typically only allow residents/members to play and it’s just a 9-hole executive layout anyway, so it’s not one I ever had high on my priority list. In fact, I wasn’t sure if it would ever work out for me to play there. Thankfully, a cousin of a friend happens to live there and is selling his place soon, so we found out and realized we had a short window to head up there and take advantage of his resident member status while it was available. He was gracious enough to invite us up for the day, but wasn’t able to play with us because of an injury. He met us in the clubhouse and got us on the course very easily. We paid our $31 for nine holes with a cart and were on our way. It was pretty chilly and windy up there, so there were only a handful of players out on the course. We never ran into any other groups, so we played quickly. 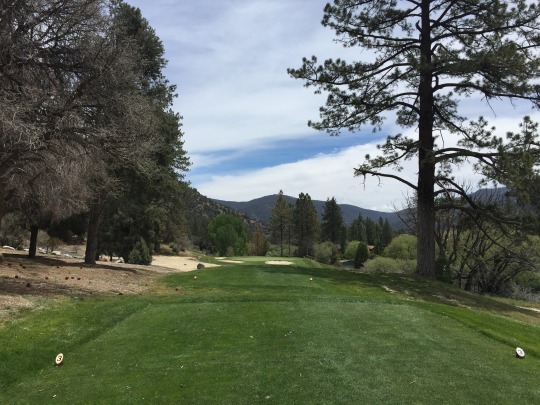 Pine Mountain Club is a par-30 layout with three short par-4s in the mix and then a decent mix of surprisingly difficult par-3s. 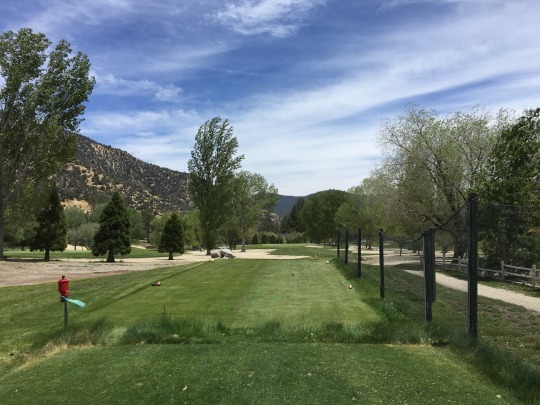 There are slightly different tees for front and back nine play, so we we each decided to play two balls (one from the front nine tees and one from the back nine tees) to get a little more out of the experience without having to loop around twice. The longest of the par-4s (the 9th) is 295 yards, so those holes all provide good scoring opportunities. The par-3s, however, are varied and generally pretty tough, especially into or with fairly stiff winds that day. They range in yardage from 124 yards up to 229. Now, you are at some elevation here, so that will affect your club selection, as well. As first-time players, we were somewhat at the mercy of the course. The drawings of the holes on the scorecard provide very little detail, but there are plenty of hazards in play. Most holes don’t have much room at all for error. The first hole has a water hazard just left of the green and behind it, which I found out the hard way by putting both balls in it. We knew there was water somewhere in front of the green on the 9th hole, but we found out how much bigger that hazard actually is after we hit what we thought were good tee shots out to the corner of this dogleg right hole. 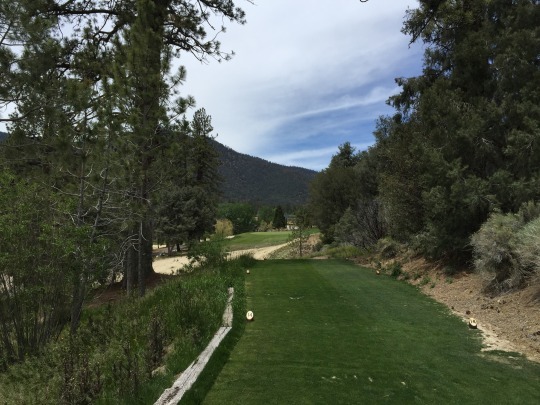 The tee shot is somewhat blind as you go slightly uphill off the tee and then downhill on the approach. 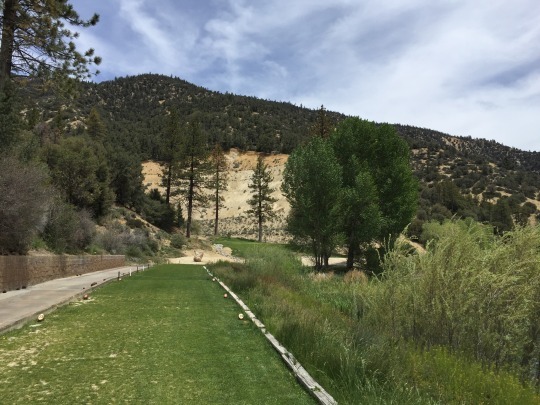 The par-3s in the middle stretch of the course (holes 3-5) are the best holes on the course and provide the most “mountain” golf feel. However, they have rather small greens that are perched in precarious places. If you miss on any side, you could be in big trouble. 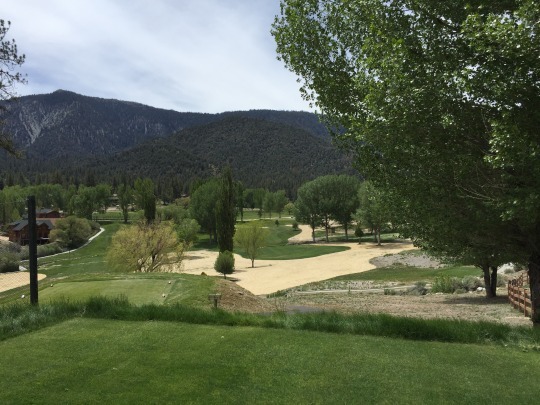 The overall setting is pleasant with high desert mountains all around. The course doesn’t have as many trees on it as I envisioned, but enough come into play. A big turf reduction had been done, so there are big swatches of bare sand throughout the course. That kind of takes away from the aesthetic appeal. 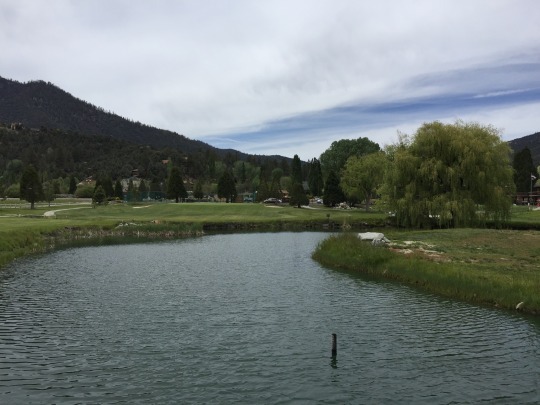 Really, the surroundings are prettier and more charming than the course itself, but this mountain community has a very different feel than something like Big Bear or Lake Arrowhead. We were led to believe that the course would be in pretty weak shape by the member as the drought has really had an impact here, but it wasn’t too bad. The greens were decent enough and there was grass where it mattered. It wasn’t always consistent or lush, but it played fine for the most part. There is a lot of work being done on the 9th hole, so it is the roughest of them all right now. Is it worth going way out of your way to play this course? Of course not (unless you are a course collector like me). 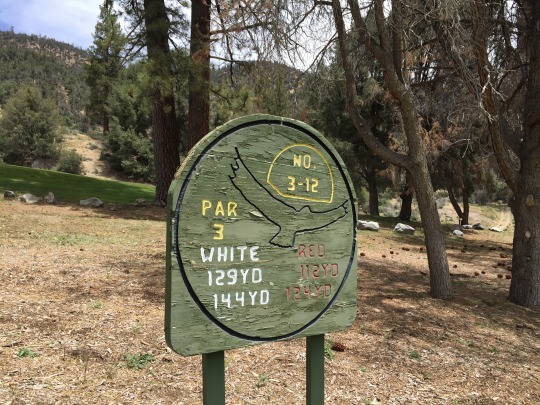 If you happen to be in Pine Mountain Club and can access the course, then sure. 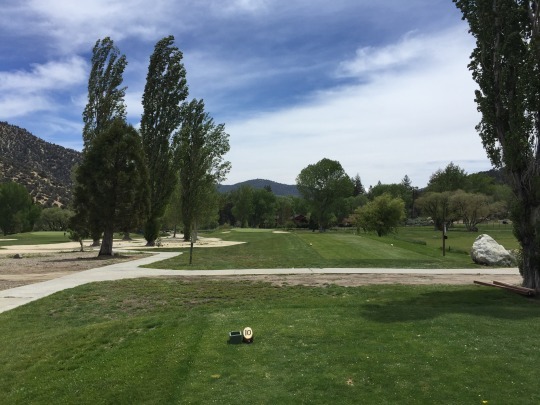 It’s a fun enough little track to spend an hour or two while in this mountain community.